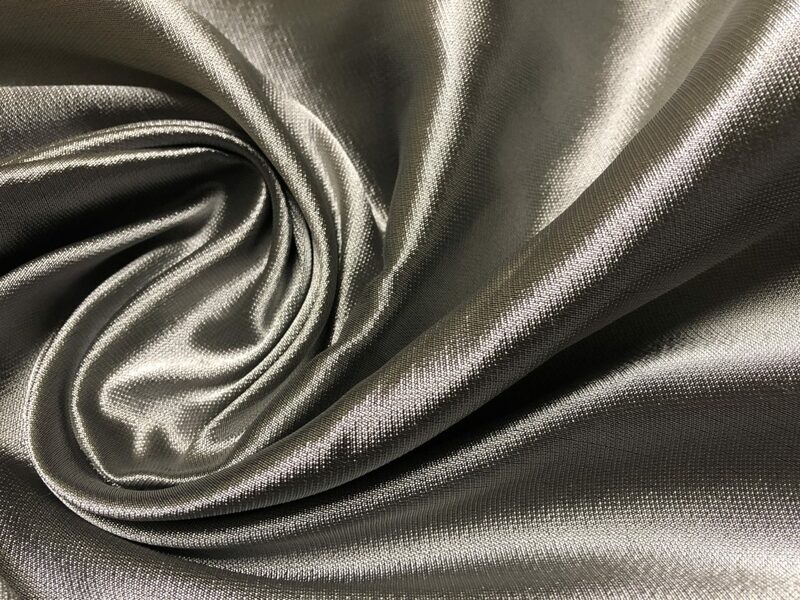 Suiting weight Rayon Blend (Rayon/Polyester), an iridescent Silver, stiff/dense hand, medium weight but with more drape then say a taffeta and it cuts like butter. It would make a spectacular jacket, gown, skirt, pants, dress or suit. Made in Italy, 60″ wide.